Rakesh Ahuja, a government minister in New Delhi, is beset by problems: thirteen children and another on the way, a wife who mourns the loss of her favourite TV star, and a teenaged son with some really strong opinions about family planning. To make matters worse, looming over this comical farrago are secrets - both personal and political - that threaten to push the Ahuja household into disastrous turmoil. 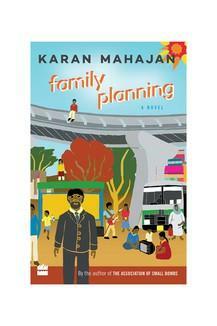 Following father and son as they blunder their way across the troubled landscape of New Delhi, Karan Mahajan brilliantly captures the frenetic pace of India's capital city to create a searing portrait of modern family life.